Rancho skid plates are designed to protect front-end components from debris. They are manufactured from heavy-gauge steel and feature a one-piece, MIG-welded, reinforced frame. Rancho skid plates have the Rancho logo embossed on a heavy-duty aluminum plate in the center of the frame. Their simple bolt-on installation means that there is no cutting or welding required. 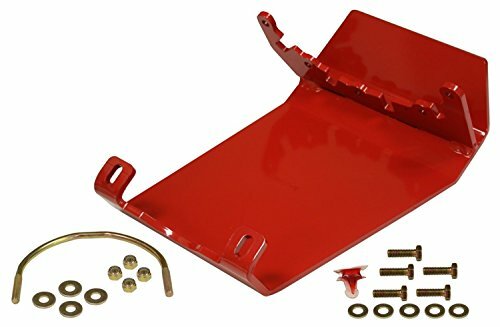 Available in a red or black powdercoated finish, these Rancho skid plates are a perfect fit for your lifted truck.